Check out our KHS Texas Bioscience Students at Temple College! Congrats to KHS Choir's Vocal Spectrum! Congrats to KHS Choir's Vocal Spectrum on earning a "one" superior rating at the American Classics State Madrigal Competition on Friday evening in San Antonio! The Killeen High School Class of 2019 Commencement Ceremony will take place on Sunday, June 2, 2019 at 2:00 p.m., at the Bell County Expo Center. Each Killeen HS graduate will be allotted between 8-11 tickets for family and friends to attend the graduation ceremony. Students are encouraged to speak with classmates who may not be using their allotted number of tickets if they need additional tickets. Will a deployed family member miss graduation? Gradcast is an interactive graduation experience for both the graduate and deployed family member. Don’t miss the opportunity to celebrate with your graduating senior as they cross the stage. Submit a Gradcast request today at www.gradcast.org. She received All-State Choir honors!! 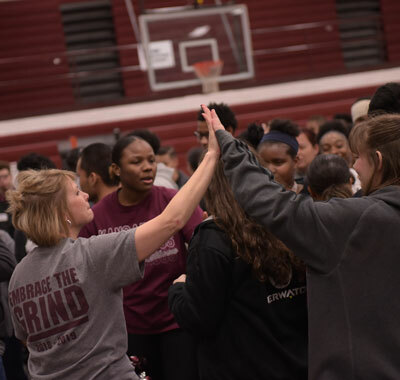 Skeptical at first, the Killeen High School freshman realized during Challenge Day that what she was seeing and hearing was exactly what she needed. Kara Trevino was assistant principal of Patterson Middle School from 2009-2014, an instructional specialist at Killeen High from 2006-2009, AVID specialist at Killeen High from 2004-2006 and a teacher and coach at Killeen High 2001-2006. See the Roos that come back! Learn more information about the Home Access Center!